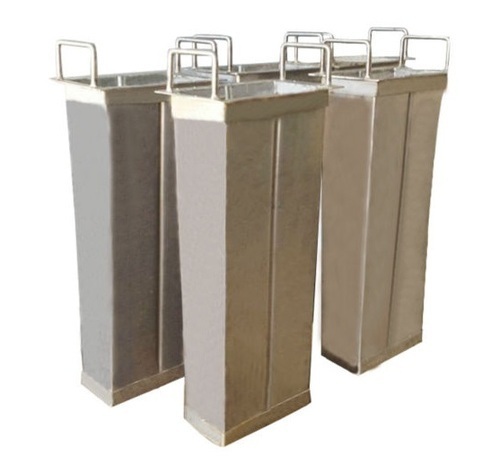 Being the foremost names in the industry, we are betrothed in offering a broad series of Block Ice Cans to our honored clients. Sigma Refrigeration started its operations in the year 1999 and is known for the purpose of manufacturer, exporter and service provider of Refrigeration Plants & Equipment. The product range offered by us is inclusive of Food Cold Storage Plants, Industrial Refrigeration Plants, CA Cold Storage Plant, Evaporative Condensers and Fruit Ripening Chambers etc. With our firm commitment to quality and to meet or exceed the customers’ expectations, we ensure a long lasting relationship with each and every individual customer. Our entire product range is easy to clean and easy to operate. They give constant performance to the user along with a long serving life. Our organization owns expertise in this industry. We offer all our products range in standard sized packaging as per the precise demands and requirements of our clients. We export our products all over the world. With the high quality products and services, adequate Infrastructure with well-defined systems and procedures, dedicated, talented workforce of Engineers, Supervisors, workers at different levels committed to deliver best to their capability. For that purpose, we consistently keep a track of the market developments in order to ensure that the offerings we provide are in compliance with the preferences of the customers.